What could be better than a meal involving rice? How about one that is loaded with seafood and is packed with flavor. 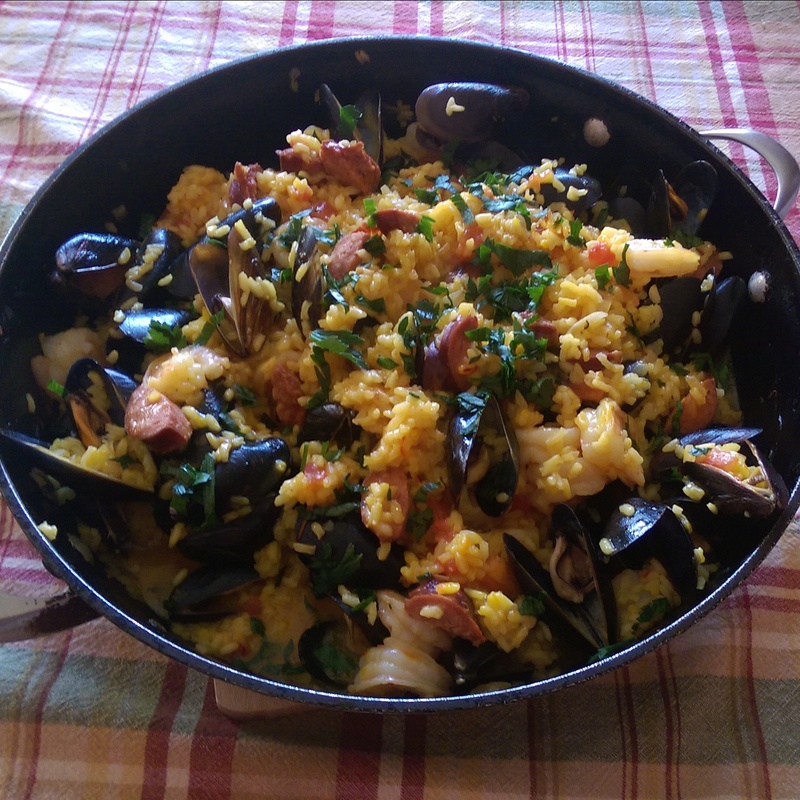 The paella is a famous Spanish dish that is favorited the world over. The combination of the fresh shellfish combined with the spicyness of the chorizo leave a symphony of flavor in your mouth that will make you savor for more. This entree is prepared in large pans meant to be shared amongst groups of people and over a nice conversation and bottle of wine. This requires a special piece of equipment, the paella pan. If you do not have one you can use a large cast iron skillet. Lower the heat to a low setting and let the paella simmer for 25 minutes covered. Stir. Add the shellfish, stir into rice and let simmer covered for fifteen more minutes.